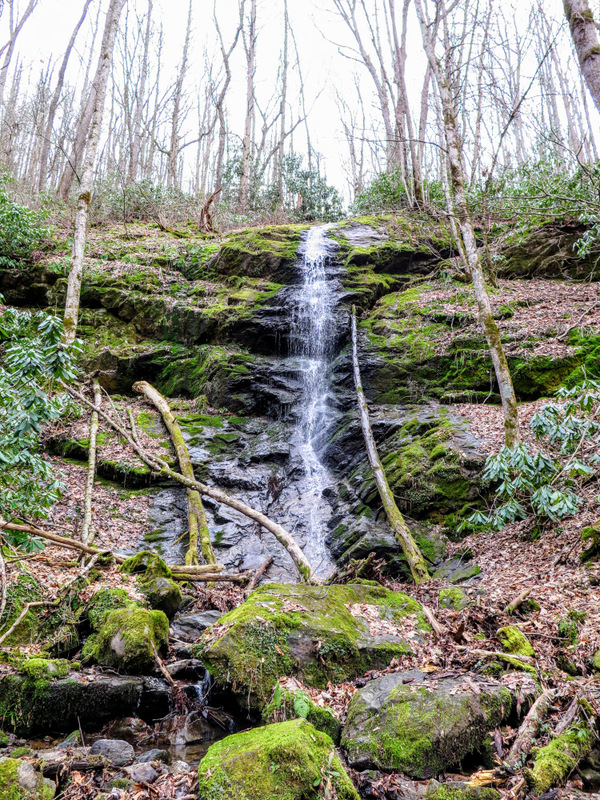 This short hike to Little Fall Branch Falls is worth a quick stop if you are hiking in the Harmon Den Wildlife Management Area of Pisgah National Forest. 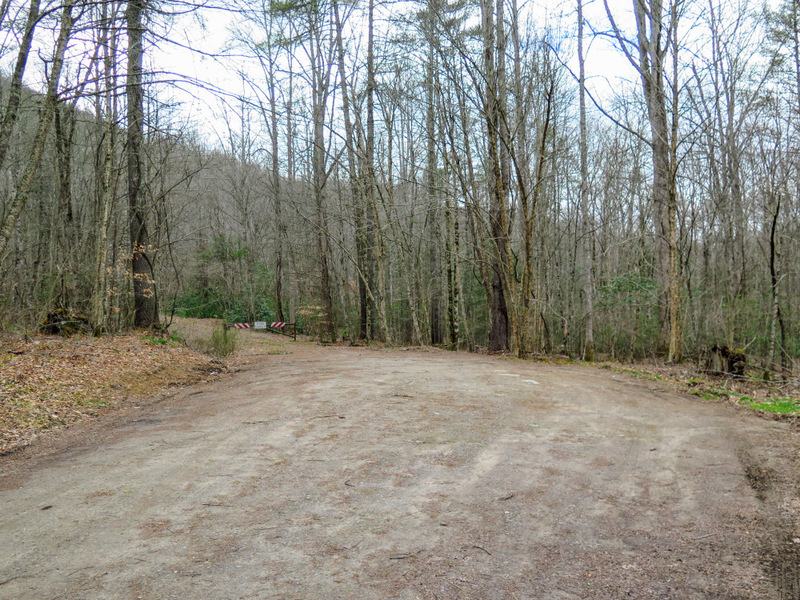 If you are hiking to Max Patch or having a nice outing at the Cold Springs Picnic Area, then this 30-minute detour will most certainly surprise you. 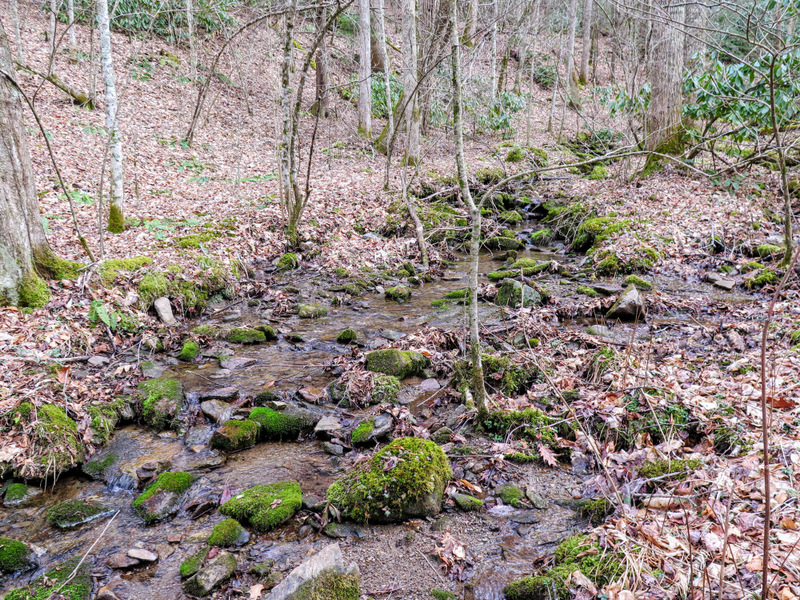 Little Fall Branch is very tiny, and it seems impossible that an impressive waterfall would be located on this watercourse. 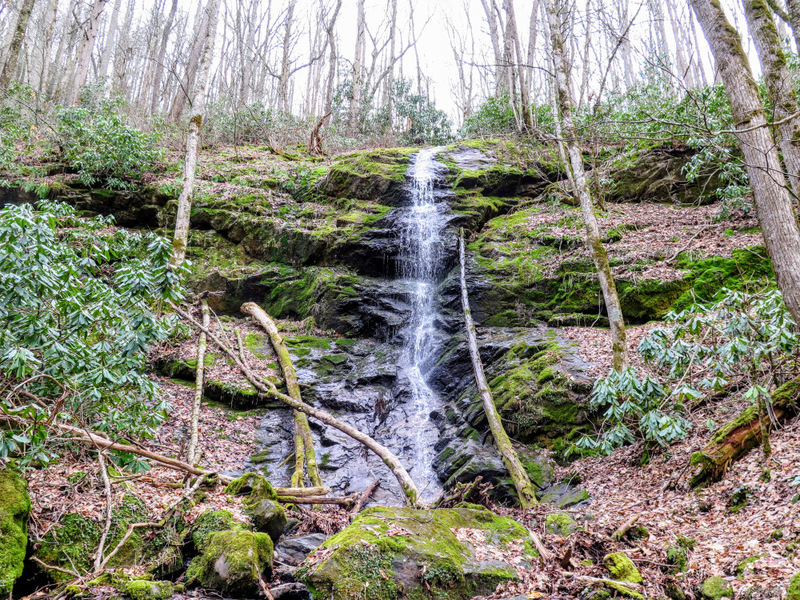 The waterfall is ~40 feet high and hemmed in by a cove of moss-covered cliffs. It would at its most spectacular in the summer after rain when everything is really green. 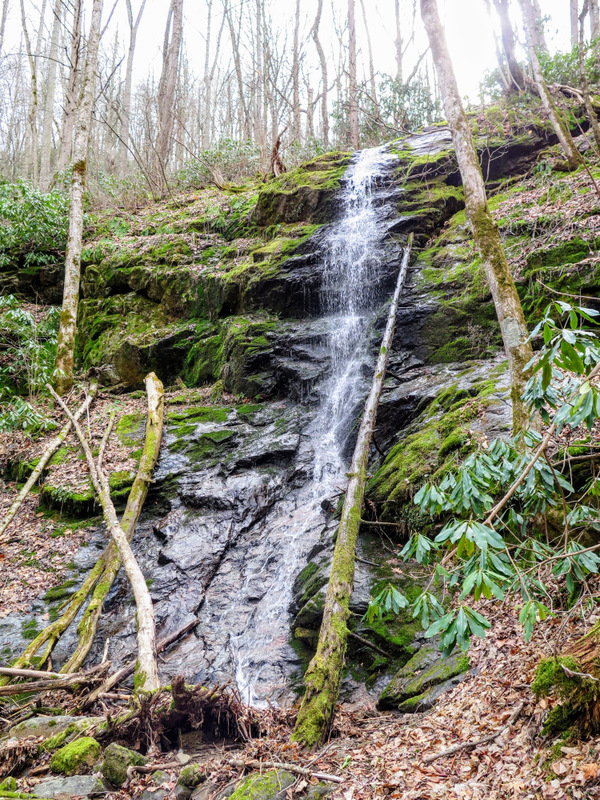 Although the trail to the waterfall is unofficial, the path is easy and appropriate for any hiker. 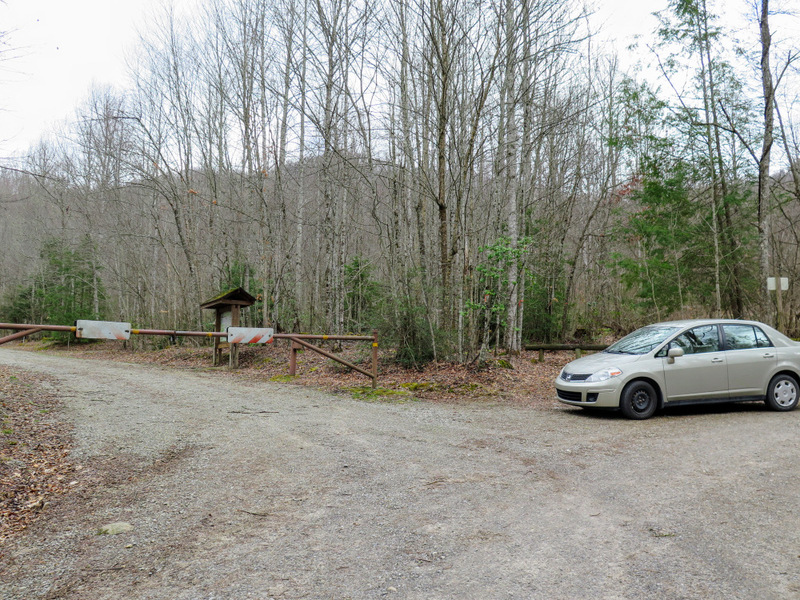 Parking for the trail is located beside the gate on FR 3526/Fall Branch Rd just beyond the Cold Springs Picnic Area and the gated road for the Harmon Den Horse Camp. 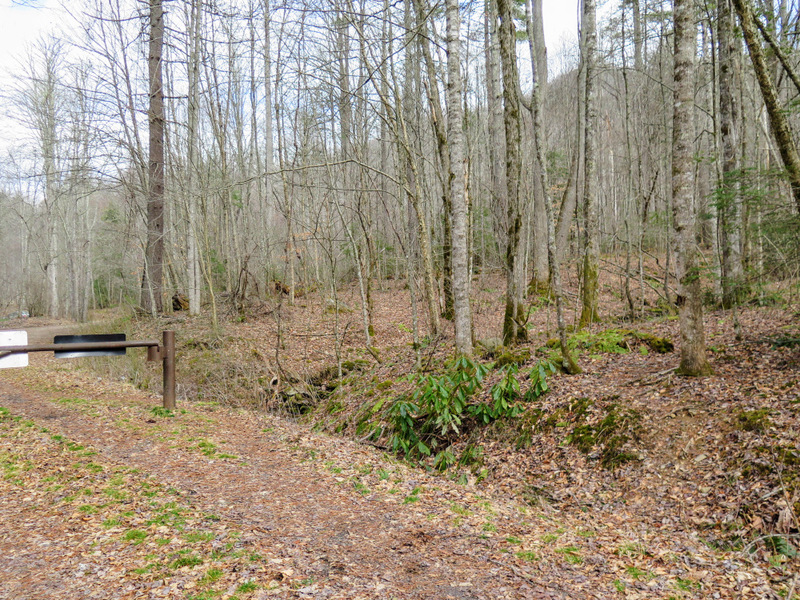 Mile 0.0 – Walk beyond the gate on Fall Branch Rd crossing over the tiny Little Fall Branch. Approximately 10 feet past the gate look for a side trail on he left that follows the stream. This is an unofficial path to the waterfall. 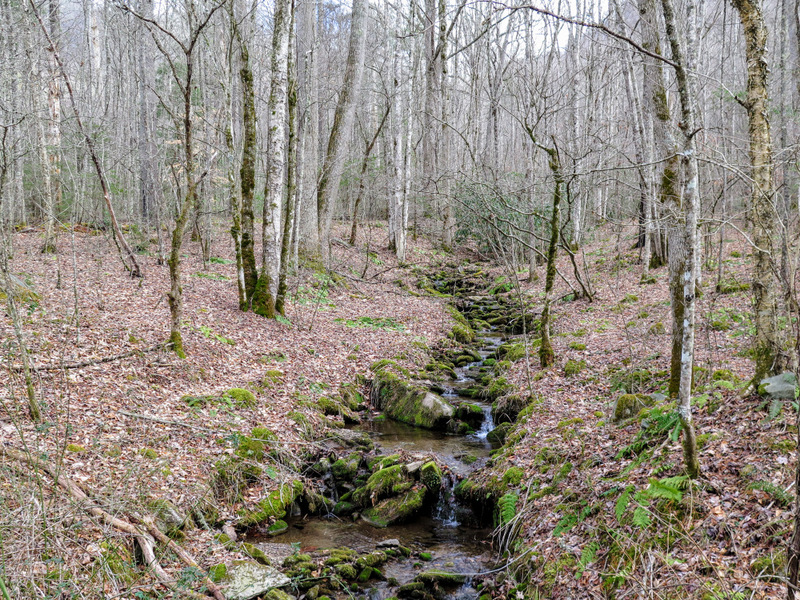 If you can’t find it initially just follow Little Fall Branch upstream. 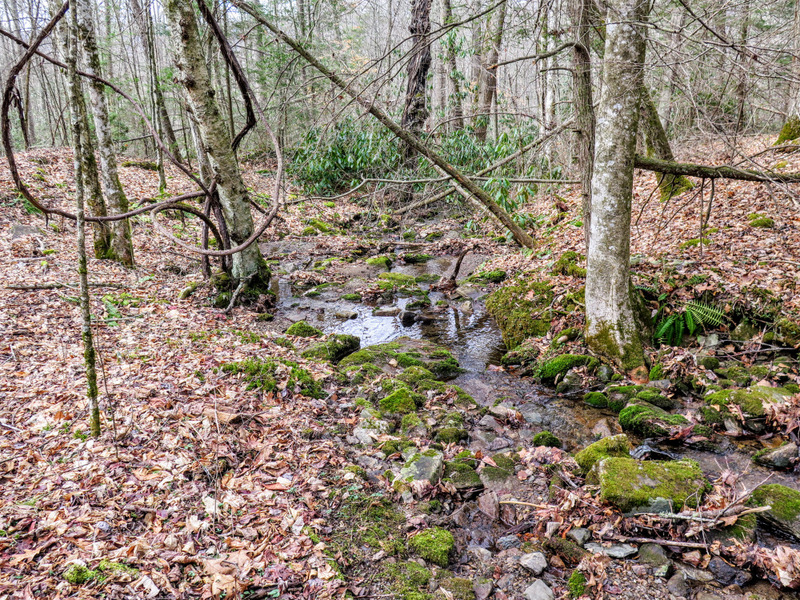 The path rarely strays more than 15 feet from the creek and is easy to follow. 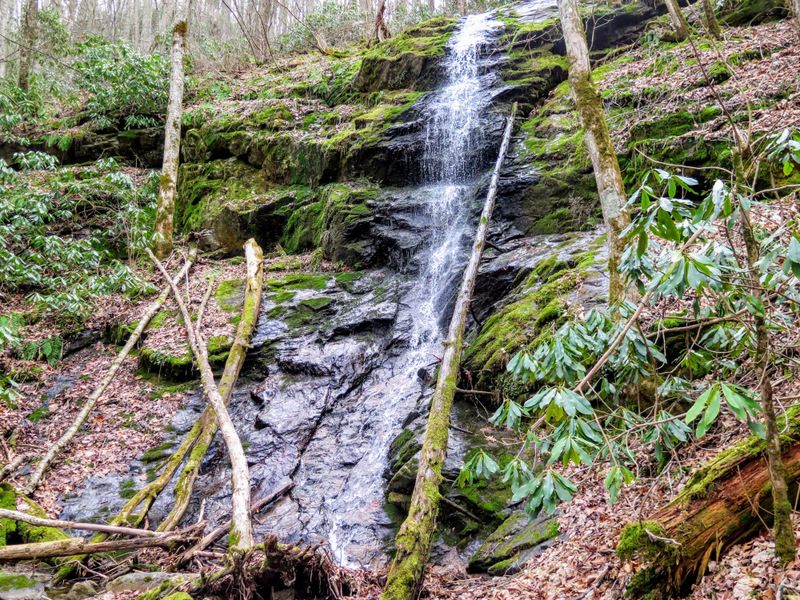 Mile 0.3 – Reach the base of Little Fall Branch Falls. 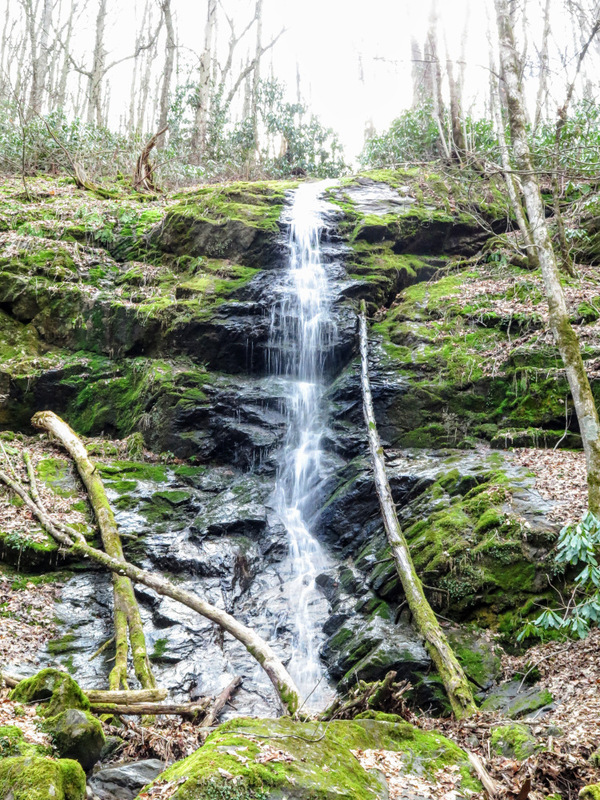 The stream cascades down a steep slope then freefalls more than 30 feet. The cliffs around the waterfall are covered in thick moss. 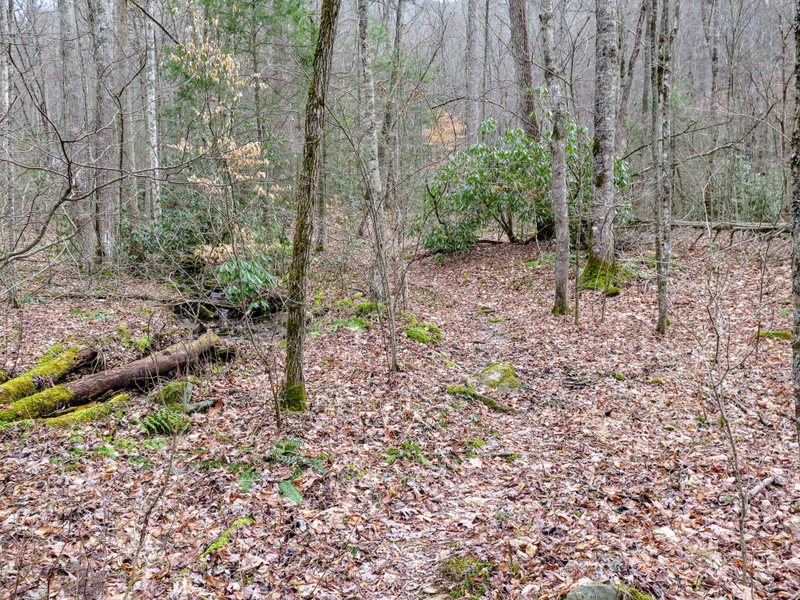 Mile 0.6 – Hike ends at Fall Branch Rd.